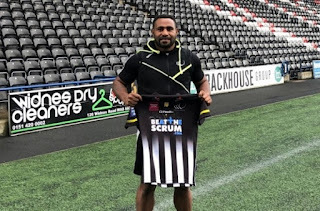 Widnes Vikings are delighted to confirm that Stanton Albert, like brother Wellington last week, has now been granted his visa to work in the UK, and can kickstart his career at the Vikings. Stanton had his immigration meeting with the Home Office this week, and was able to secure his visa and can now prepare for life as a Viking in the Betfred Super League in 2018. The prop forward can now join brother Wellington in trying to secure a place in Denis Betts' side for the opening round fixture against Catalans Dragons on Sunday 4th February. Widnes Vikings would like to thank VIQI, 2018 Player Sponsor of Stanton Albert. 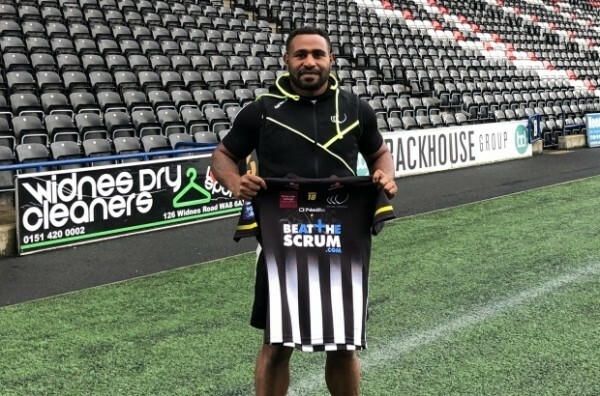 Albert joins the Vikings from PNG Hunters. Weighing in at almost 17 stone, Stanton brings power and strength to the Vikings forward-line. Papua New Guinean media have praised the forward for his impressive appearances for the Kumuls, describing him as ‘bulldozing’ through opposition defences in international test appearances. The explosive prop made three appearances at the 2017 Rugby League World Cup, including featuring in the defeats of Wales and Ireland. He has represented Penrith Panthers in the Queensland Cup, joining the club in 2015, and was a pivotal member of the PNG Hunters team that won the 2017 Intrust Super Cup Premiership. With 18 tackle breaks, 805 post-contact meters and ten offloads in his 22 appearances for the PNG Hunters last season, he proved to be an intimidating force for the Premiership winning side.